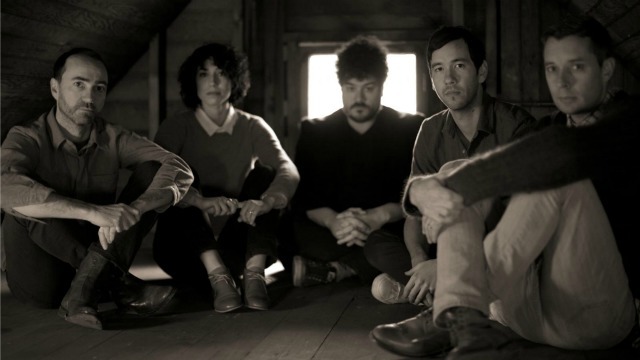 First Listen Live: The Shins perform 'Port of Morrow' - Listen Live Now! Listen to Sufjan Steven's Carrie & Lowell streaming now via WFUV and NPR Music before the album's release on March 31. Sufjan Stevens' career has covered vast swaths of thematic ground: To say nothing of his ballet score, his electronic concept record about the Chinese zodiac or his album-length instrumental tribute to the Brooklyn-Queens Expressway, 2005's Illinois and 2003's Michigan synthesized lessons in state history and geography with finely detailed, tenderly emotional treatises on love, faith, grace, alienation, want and death. Carrie & Lowell focuses most acutely on the sadder, darker and more ambivalent corners of that checklist — no surprise, given that the album's title references Stevens' mother, who died at the end of 2012. (For more of the story, read this incredible interview.) 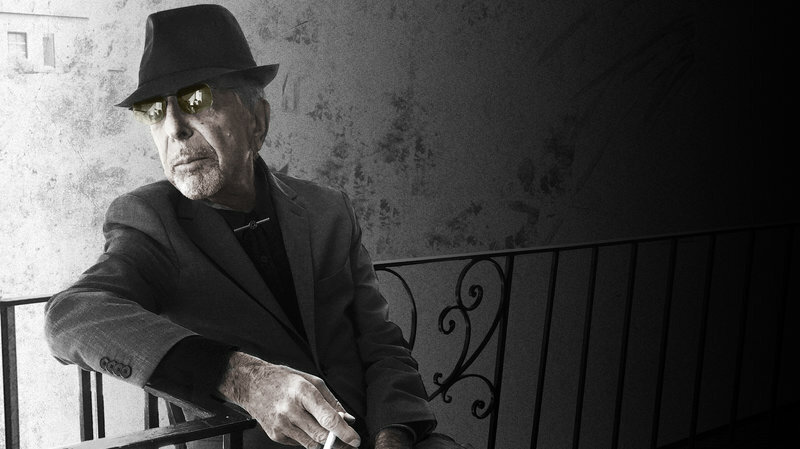 These are intensely personal songs, constructed with sincerity, care, a compassionate fascination with religious faith and connection, and an innate understanding of the way messy, overlapping emotions can color our memories. In a sense, it feels like a concept album about silence — silence to reflect, silence following a death, silence as an alternative to noise and confusion — in such a way that it demands silent attention. It's a soundtrack for late-night drives and solitary Sunday mornings when every distraction is muted. As such, Carrie & Lowell sheds most traces of the singer's whimsical side, heard frequently on his many Christmas records and side projects. Instead, this is the Stevens who peppered Illinois with songs like "Casimir Pulaski Day," about a deeply religious young man who suffers a crisis of faith after losing the object of his affection to bone cancer. On Carrie & Lowell, that suffocating sadness reaches its peak in "Fourth of July," a heartbreaking message to a recently departed loved one. Punctuated by an assortment of tender, almost childlike pet names — "my little hawk," "my dragonfly," "my star in the sky" — the song builds to the repetition of four inescapable words: "We're all gonna die." Listen to Chastity Belt's Time To Go Home streaming now on WFUV and NPR Music before the album's release on March 17. Listen to Matthew E. White's Fresh Blood streaming now via WFUV and NPR Music before the album's release on March 10. Those who knew White's previous work, notably as a jazz composer/arranger, and the level of talent hovering about Richmond, Va., knew it to be possible. But to sell the idea to the outside world, he'd need a proof-of-concept calling card. So, whatever, he'd do it himself. 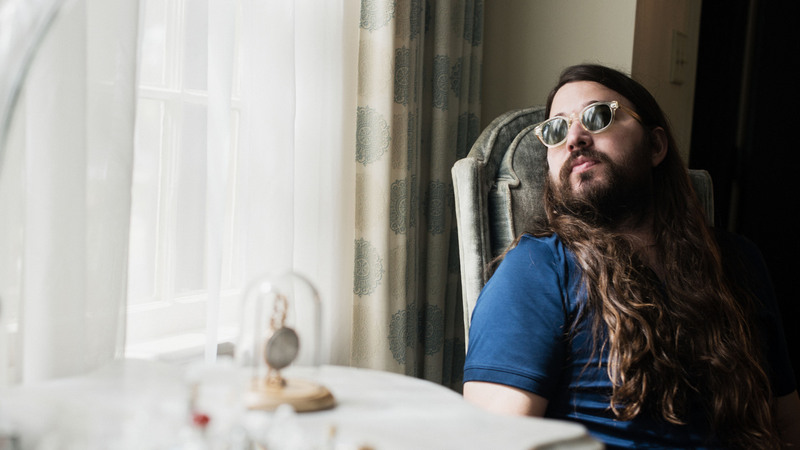 The first seven songs with lyrics he ever wrote went onto the album Big Inner (ha) and he called it a success, knowing its grandeur and badass musicianship would speak to anyone's concerns about Spacebomb's artistic integrity. Then a funny thing happened: People liked it, kind of a lot. Its critical success brought him on tour across the country, and across Europe, and into an opera house surrounded by 30 musicians. And unexpectedly, and to his own amusement, and with frequent acknowledgment of the gratitude owed to his Spacebomb team, he found that the behind-the-scenes role he'd always envisioned for himself wasn't the only natural fit for his talents. He set out on making a second album that used more or less the same sonic inspirations and cast of characters. He didn't want it to be different, really; he just wanted it to be better. 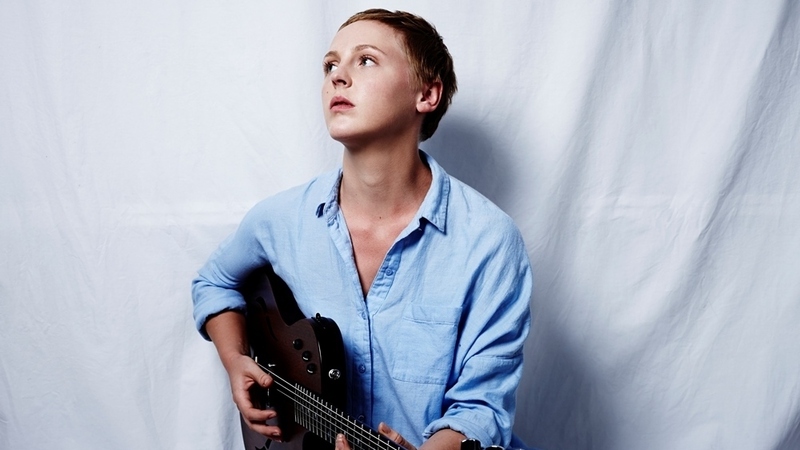 Fresh Blood is certainly more lyrically deliberate, with songs about sexual abuse in the church ("Holy Moly"), a friend's late mother ("Circle 'Round The Sun") and Philip Seymour Hoffman ("Tranquility"). It's bookended by songs about love and peppered with songs about lust. It's music replete with sweeping string and choral and horn arrangements, backed by real-time rhythm-section synchronicity — which decades earlier may have been de rigeur for a crew with conceptual ambitions like Spacebomb, and now seems mildly quaint in an age where you could get most of the way there on a laptop alone. It's the kind of record where the lead single ("Rock And Roll Is Cold") is built on a 12-bar blues (who does that anymore?) and adorned with "ooh-la-las." It's still fronted by a "raw"-voiced singer amid a backdrop of "bigness," to echo his own terms of art. It still incorporates gestures from Southern and country-rock beardos, Baroque chamber-pop auteurs, spiritually concerned singer-songwriters, classic R&B and soul factories. Listen to Of Montreal's Aureate Gloom streaming now via WFUV and NPR Music before the album's release on March 3. 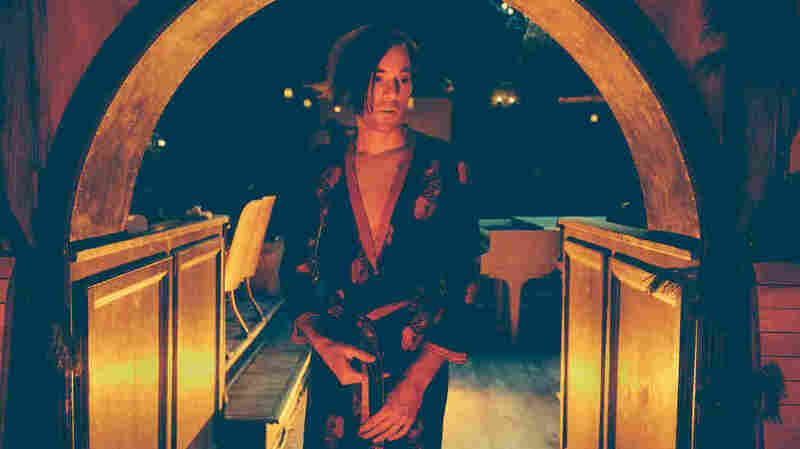 In a recent interview, Of Montreal mastermind Kevin Barnes described Aureate Gloom, the band's 13th full-length album, as "sort of all over the place musically," which is really something for an artist whose style has been scattered and spastic from the start. When other indie-pop bands were trotting out rudimentary songs, Barnes was writing elaborate suites about parades full of imaginary characters and sentient bees. Since then, he's exploded in directions that somehow make sense of affinities for Prince, David Bowie, Sly Stone and countless weirdo psychedelic bands from the '60s and beyond. "Bassem Sabry" opens the new album with a flare of electric guitar worthy of Black Sabbath before launching into... well, disco, of course. Swerves of that sort are to be expected from Of Montreal, but there's something increasingly rawer and edgier about Barnes' changes of mind. When he sings, "Every leader is a cellophane punk / If you hear me, say 'Yeah!,'" the only reasonable response is to sneak past the desire for that to make sense and scream along in solidarity instead. So many bursts of words race by in the first song alone — "cycloptic brooding," "sedition," "the mutinous tramp of cold voltage" — that it's best to relax into the realm of the evocative and let ideas fire as they trigger and fade. So many ideas permeate Aureate Gloom, no song of which goes without at least a few surprising moves. "Empyrean Abattoir" starts off lithe and tightly coiled, with just a bass line and some suspicious drums, before jump-cutting into raw garage-rock aligned with The Creation on the soundtrack of a Wes Anderson film. The parts of "Monolithic Egress" that aren't floaty and light are dark and gnarled, with occasional deep-echo effects on the vocals to lend a sense of menace. Guitar lines in "Like Ashoka's Inferno Of Memory" invoke leads by Led Zeppelin, a heavier allusion than usual for Of Montreal, while other tracks tend toward Sonic Youth or even, in "Chthonian Dirge For Uruk The Other," thudding punk bands on the Amphetamine Reptile label. In 2015, it's easy to take for granted how important and far-reaching the space race was. But imagine yourself in 1957: News breaks that there's something in the sky — in space — and if you tune your shortwave radio to an especially high frequency, you can hear its signal chirping back to you as it circles the Earth. It's called Sputnik, the first man-made satellite launched into orbit. The Soviet Union's groundbreaking success ushered in a new era, and nothing has been the same since. Five years later, John F. Kennedy's "We choose to go to the moon" speech persuaded the American public that space was a frontier beckoning to be pioneered. Ascending to the stars would be the next step in mankind's evolution. To many, that idea of space and the awe of discovery permeated practically every aspect of American culture with a sense of possibility and excitement — but also deeply felt dread as we pondered life's meaning in the cosmos. These themes lie at the core of Public Service Broadcasting's new album, The Race For Space, a song cycle that retells the American and Soviet tentpole events between 1957 and 1972 — roughly from Sputnik to Apollo 17 — and lets us hear that historical arc the way many experienced it at the time. 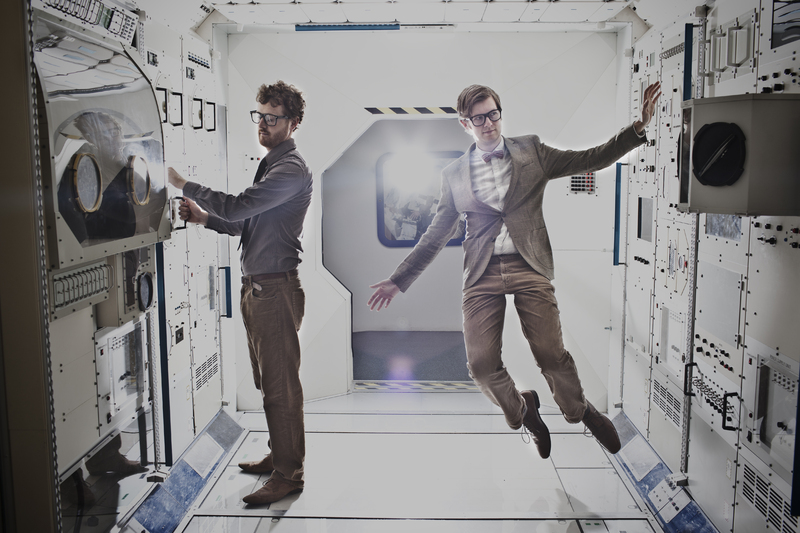 Part musical group, part performance-art outfit, Public Service Broadcasting is the innovative and geeky work of Londoners J. Willgoose, Esq. and Wrigglesworth. The two earned their reputation for marrying looped dance beats and electronics with spoken-word passages culled from old public-service messages, synced to meticulously edited film footage projected while they perform. With The Race For Space, Willgoose and Wrigglesworth incorporate original news broadcasts and communications between the astronauts and NASA's master control. From song to song, this tapestry of source material narrates each chapter chronologically, placing the listener inside the drama of the moment — propelled by futuristic Kraftwerk-meets-Aphex Twin-meets-Daft Punk sounds suitable for a laser show at the local planetarium. Listen to Public Service Broadcasting's The Race For Space streaming via WFUV and NPR Music before the album's release on February 24. The Race For Space opens with a mood-altering choral overture and JFK's inspirational speech as a haunting invocation. "Space is there, and we're going to climb it. And the moon and the planets are there, and new hopes for knowledge and peace are there," Kennedy says, as a soaring choir gives every line extra resonance. The duo crafts tiny instrumental flourishes that illuminate the story. "Sputnik" includes the distant yet unmistakable bleeping of a satellite. In "Valentina," chiming wordless voices from folk duo Smoke Fairies honor cosmonaut Valentina Vladimirovna Tereshkova, the first woman to fly in space. And the somber celestial silence in "Fire In The Cockpit" recounts the deaths of Apollo 1's three crew members. Yet The Race For Space's biggest showstoppers use sound to build cinematic excitement — as in the exuberant "Gagarin," which bursts with slinky disco riffs and funked-up horn blasts while playing reports about cosmonaut Yuri Gagarin, the first human in space. Meanwhile, "Go!" channels fiery, motorik beats, intricate guitar licks and TRON-era synths as the Apollo 11 team counts down before landing on the moon — a moment punctuated by Neil Armstrong's famous line, "The Eagle has landed." The most stirring moment of all comes in "The Other Side," about Apollo 8 slingshotting itself around the dark side of the moon. Public Service Broadcasting demonstrates its masterful touch for storytelling when the dusty drum machines momentarily drop out — just as the astronauts lose contact with NASA ground control. The song builds anxiety and tension as we sit nervously for what feels like an eternity — and then swells to a joyful release when the voices from space finally reconnect. 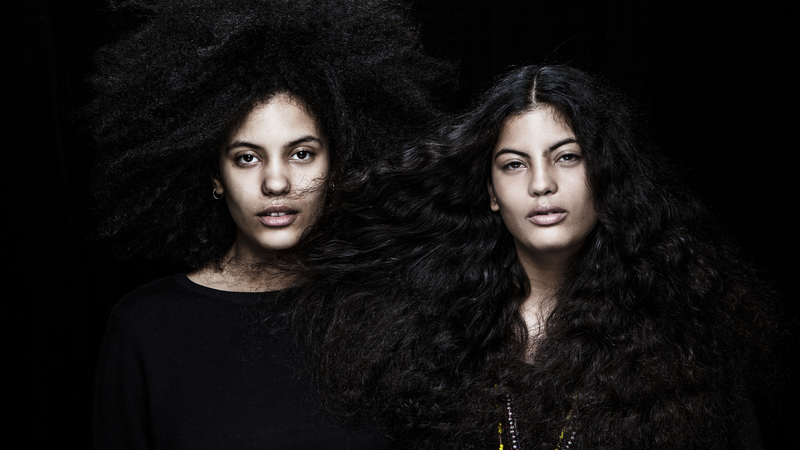 Listen to Ibeyi's self-titled debut streaming now via WFUV and NPR Music before the album's release on February 17. I fell hard for the 20-year-old twin sisters of Ibeyi last summer, when they released the entrancing, unsettling video for their single "River." The way that Lisa-Kainde and Naomi Diaz mixed deep soul with Afro-Cuban tradition and electronic textures resulted in one of the best new cuts I'd heard in ages. Ever since, I've eagerly awaited their self-titled full-length debut — and that impatience has been rewarded. The Diaz twins create a world of intoxicating beauty, in songs that are smart, sweet and emotionally cracked wide open. Not surprisingly, the Parisian sisters possess beautifully matched voices, though Lisa-Kainde takes the lead on vocals and plays piano, while Naomi brings in the sound of two Afro-Cuban percussive instruments, the cajón and batá. Producer Richard Russell (who's also the chief of their label, XL) adds the crackling energy of synths and samples. The Diazes' Afro-Cuban heritage is hugely important to them; it's the guiding force of their debut on many levels, particularly in their evocations of the Afro-Caribbean religion Santería. They begin the album with "Ellegua," a song to the Yoruban orisha spirit of the same name — he represents the beginning and end of life, and is always the first orisha greeted in any ceremony. (Without his blessing, nothing else can proceed.) Religious references and Yoruba-language chants swirl around the entire album, with songs steeped in references to various orishas, including Oya, Aggayu, Oshun, Shango and Yemaya. Afro-Cuban religion isn't the only cultural frame of reference at play here. Born in Paris, the Diaz women have lived there for most of their lives, and it's easy to hear the echoes of French hot jazz in the metallic ring of Lisa-Kainde's voice. Plus, the Diaz twins are the daughters of the incredible Cuban percussionist Anga Diaz, who died of a heart attack at 45 when the girls were just 11; his spirit clearly nourishes their own work. In "Think of You," the Diazes summon their father's memory and, more directly, his sound: "We walk on rhythm," they sing, heartbreakingly, "and we think of you." There's also a second elegy on the album, "Yanira," in honor of their deceased older sister, a song underpinned with a gorgeous, haunting Afro-Cuban rhythm drummed out on the batá. Listen to The Districts' A Flourish and A Spoil streaming now via WFUV and NPR Music before the album's release on February 10. Countless bands perform a variation on the medium-uptempo edge-of-rage eruption perfected by the likes of the Pixies and Green Day. It's become so ubiquitous, you almost don't have to listen: It's possible to get a headline-news sense of the song without fully apprehending the words. The spike in the guitar attack and the rawness of the vocal help telegraph the outline of a narrative: Here we are in the aftermath of a relationship in turmoil. Trust is broken. Someone's been wronged. Wounds are fresh. 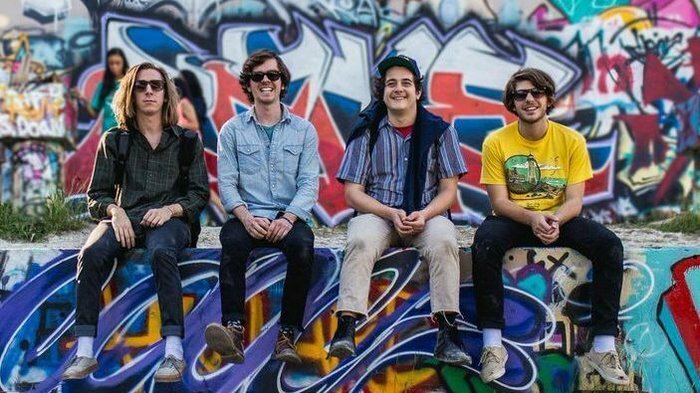 Listen in that casual way to "Young Blood," from The Districts' fast and furious second album A Flourish And A Spoil, and you might miss the genius in it. The guitar framework is straight out of the indie-rock parts bin; from a distance, Rob Grote's snarled words run together into a 90-proof blur. "So that I won't picture it." That last phrase is about as declarative as Grote gets. He rarely spells stuff out; you have to stitch together the story yourself using his inflections, his word-jumble asides and his sharp, wistful images, which hang unsettlingly in the air. But as the epic "Young Blood" unfolds, the circumstances become less important than their impact anyway. It's clear that Grote is fully engaged in measuring this particular collapse, surveying the considerable damage to his psyche. By the way he sings, we come to understand where he is, in that unpleasant near-bottoming-out place where there's further to fall. We don't simply recognize it intellectually so much as feel it, because we've been in the middle of it. Much of A Flourish And A Spoil is disarming like that: The Districts' cathartic rock music rages in familiar ways, with an unexpectedly devastating twist of the knife every now and then. The music is proudly sloppy and artfully bloodthirsty, but it's never just monochromatic brute-force fury: In "Sing The Song," Grote's ceiling-scraping falsetto sits alongside a pealing, challengingly dissonant guitar array, yielding music that's thick and tense. When the quiet returns, it provides a welcome contrast to that full-throttle roar; this band savors the highs, lows and every permutation of ramp-up and ramp-down in between. Grote seizes each of these musical cues for dramatic effect. He sings with an unruly abandon that screams detachment and doesn't care if it's not pretty or perfect. But his songs often require more from him: When he's not dwelling on the affair (overall, there's more about the spoil than the flourish), he's pondering what it means to be ambitious, to be a reliable friend, to shake off all that is straitlaced and confining in the culture. Sometimes he's a lost soul, sometimes a misty-eyed romantic; in several songs, he expresses the rash busting-out impulse that drove early Springsteen. Other times, he's more philosophical, as he articulates discontent about elements of everyday life: In the quiet "Suburban Smell," he notes that there are 16 houses on every street, and he's "too drunk on that suburban smell to know which one of them is mine." It's this unusual and often riveting juxtaposition — the perceptive, novelistic images channeled into relatively conventional rock templates — that has helped propel The Districts so rapidly. These four guys from the small town of Lititz, Penn., began attracting attention while they were still in high school, thanks to a scruffy live video of a song called "Funeral Beds" from their debut. The band toured regionally, got picked up for a national tour, had its equipment stolen and was bailed out by Dr. Dog. 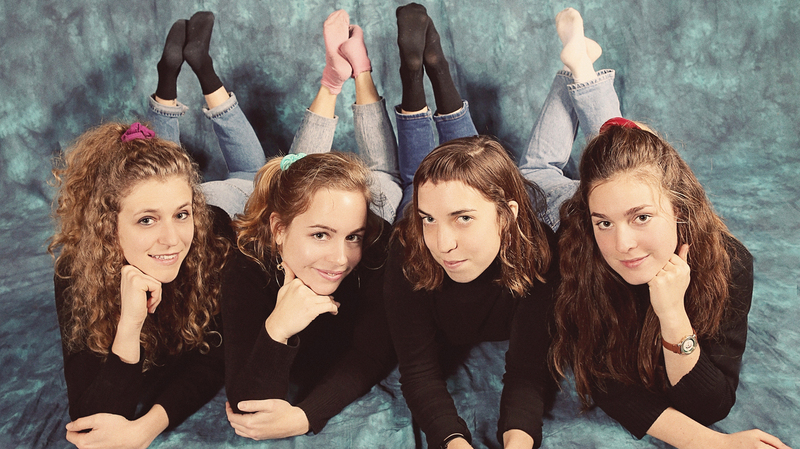 After more touring, The Districts played SXSW 2014 to great acclaim, sparking the full fairy-dust treatment from social media and accompanying label interest: A record deal materialized just two weeks before the band members were to start college at Temple University in Philadelphia. Deciding school could wait, The Districts signed and immediately dove into the making of A Flourish And A Spoil.